The Voice UK returned to BBC One, and singer/actress Rita Ora has a seat in one of the spinning red chairs. 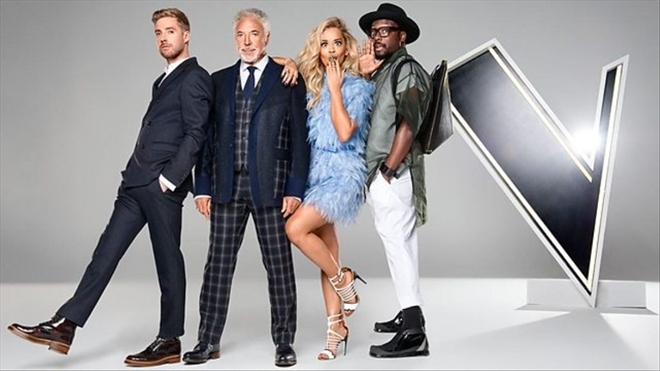 Ora joined coaches Tom Jones, will.i.am and Ricky Wilson for the singing competition’s fourth season. Shooting Partners were chosen for a return series as shooting kit supplier and technical support for all things VT. Shooting kits were baswd around the popular Canon EOS C300 with sennheiser radio mics, Bi-Colour litepanels, and fantastic range of EF zoom lenses. The Canon EOS C300 brings us totally stunning picture quality, beautiful shallow depth of field, massive flexibility and all in a broadcast friendly recording rate of 50Mbps. Kit packages come complete with follow focus kits, shoulder mounts and a choice of lenses.